Packing and moving are tedious enough and dealing with kids at such as time would seem like a dreadful task. As parents, you need to understand that children develop familiarity with their current home. Even when you feel that your kids need a bigger and a better place, they might fail to understand your intentions. Dealing with kids can be one of the most challenging tasks when you are moving to a new location. However, here are a few tips to prepare your kids for the move without facing resistance. Preparing your kids for a change can be easier if you make them curious about the new place; how big would it be? Will it have more rooms? When you plan to move to a new house, you need to prepare your kids mentally for the drastic change that is yet to arrive. One smart technique to adapt their minds to a change in living conditions is by asking them how their ideal home should be. For example, ask them if they would like a bigger home that has lots of space for indoor games. Second, point out different areas for improvement that would make them understand that the current house isn’t good enough, and an upgrade is required. If children come up with ideas about their new home, they subconsciously acknowledge that they need a better place to live. Such techniques would also help you in understanding your children’s desires that can certainly help you shortlist a few home improvement options if not all. Children may come up with unique or vague ideas. 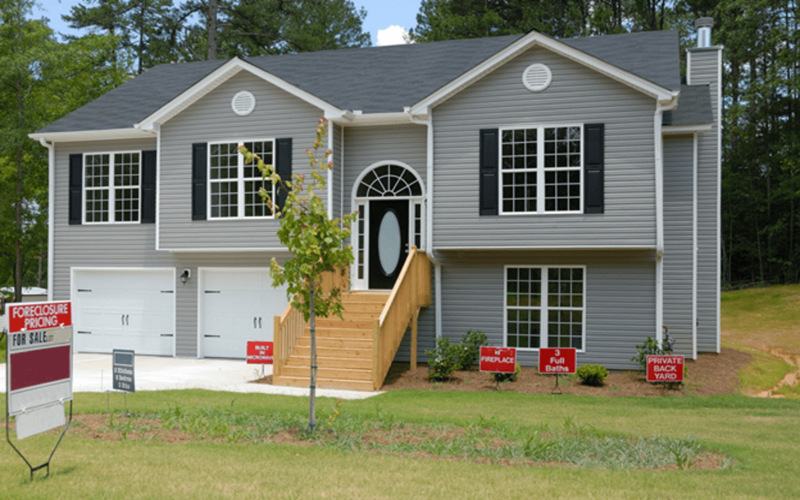 However, by expressing their desires and wants, you can understand how to persuade your kids to move to a new home without dealing with resistance. It also gives you key points to keep them excited about their new home after you break the news to them. One of the biggest mistakes you can make as a parent is to not involve your kids in important family decisions, which includes moving. When you feel it is time to pack and move, ask your children for their views about current living facilities and the need to move to a new place. You can be surprised how kids these days take responsibility for important decisions and might help you find the ideal place to live. Involving children in the decision-making also makes it easier to inform them about moving to a new home, as they would be mentally prepared for a change in their living conditions. Sometimes, children might help you find viable options that can be your next dream home. Although this technique is a common motivational factor in the corporate realm, benefits seem to motivate humanity. The same goes for kids; let them know the advantages of moving to a new house. If the new property has a pool or a play area, then the kids will surely love it and would want to move sooner. For example, if your new home offers kids separate rooms, inform them beforehand. For children, separate rooms and privacy means a lot and would compel them to look forward to the new house. It would also encourage them to search for new furniture and equipment for their new room. As an added benefit, allow your children to decide the theme of their room which will do wonders for motivating them for the move. For children, moving to a new home means changing the neighborhood, leaving behind their friends, changing the schools, and getting involved in a society that is alien to them. While it may not matter to adults, but for children, these can lead to drastic emotional instability. Kids worry about the opportunity cost of moving into the new home i.e. losing friends and other peers. As parents, it is your duty to make them realize the bright side of moving to a new home, as it would give them access to new social groups in the form of colleagues, friends, neighbors, etc. Such motivational skills can do wonders for children, who otherwise, could have resorted to social isolation. Even when you keep the kids excited about their new home, they might still face emotional challenges after you move in. Kids develop a routine for socializing with friends and a sudden change in their schedule can take a toll on their physical and mental health. This is why you need to offer them greater attention and care during the first few weeks after moving to a new home. Once they are accustomed to the new place, they would be fine on their own. However, during the early days, you need to spend quality family time with your kids, which include taking them out for sightseeing, family dinners and fun-based activities such as picnics. Another great way to keep your kids happy after moving in is to buy them a pet to look after, which will keep them occupied and give them time to settle in. The bottom line is that when it comes to moving to your dream home, involving the kids early on will help with the transition. By keeping the kids occupied and exploring the new neighborhood, you would encourage your kids and would give them a sense of familiarity to the new place. A bonus tip, always hire a reliable moving company if you’re moving to another state so you can focus on the more important things–your family!